After nine years of deep space observation, NASA’s exoplanet hunter, the Kepler Space Telescope, has retired from duty, on October 30, 2018. Since its launch in March 2009, more than 2,600 planets orbiting other stars (exoplanets) have been discovered , sparking a fundamentally new field of scientific research. “When we started conceiving this mission 35 years ago we didn't know of a single planet outside our solar system,” said retired Kepler mission's founding principal investigator, William Borucki. “Not only did it show us how many planets could be out there, it sparked an entirely new and robust field of research that has taken the science community by storm,” remarked the Associate Administrator of NASA's Science Mission Directorate in Washington, Thomas Zurbuchen. 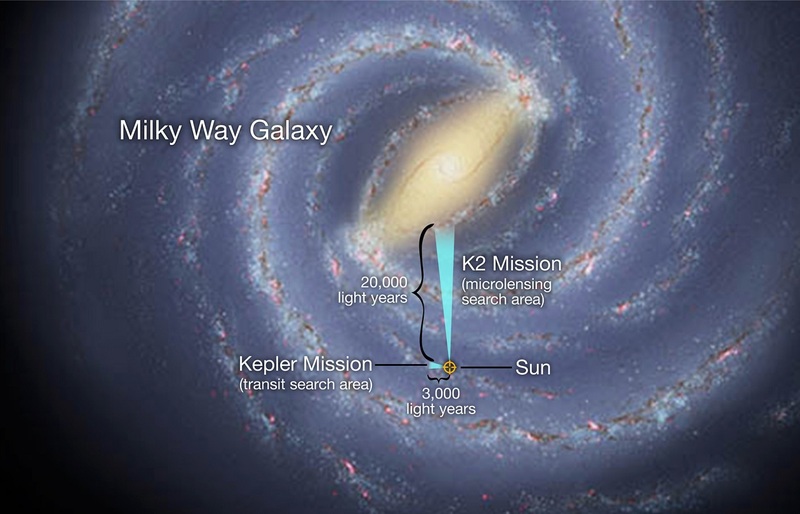 According to Borucki, Kepler has set a new course for future generations to explore our Milky Way galaxy. Its scientific legacy now brought to a close, Kepler has proved that space is filled with planets more so than stars. It has even spotted a number of planets, many of which could have life, that were dubbed “Earth 2.0”; showing that they are more common than scientists previously thought. The visible stars in our skies, according to the most recent analysis of Kepler’s discoveries, are 20-50% likely to have planets like Earth, with liquid water, vital ingredients for life (as we know it), and could even support alien life. Kepler also surprised scientists four years into its mission after its primary objectives were met, by lasting much longer. Four years into observations, the space telescope started experiencing mechanical failures. The mission team devised a fix which enabled an extended mission, allowing Kepler to continue on another mission, known as K2. Kepler’s data is furthering many areas such as the history of the Milky Way galaxy, and the initial stages of supernovae (exploding stars), which are studied to determine how fast our universe is expanding. NASA states that all data is available to the public and the science community, in efforts to allow new discoveries to be made at a much faster pace. There is so much data that scientists are expecting to spend a decade in search of treasure in the trove that Kepler has provided. “As Nasa's first planet-hunting mission, Kepler has wildly exceeded all our expectations and paved the way for our exploration and search for life in the solar system and beyond,” said Zurbuchen. Many of NASA’s other space telescopes are getting old, as they reach the end of their life expectancy. Kepler Space Telescope was named after German mathematician, astronomer, and astrologer, Johannes Kepler, a key figure in the 17th-century scientific revolution. He is best known for his laws of planetary motion.